Oil-pulling is one of the trendiest buzzwords in alternative medicine. Originating in India, it was thought that swishing with a neutral-flavoured oil such as sunflower or coconut, that the oil would ‘draw out’ harmful bacteria in the mouth. This practice was thought to cure everything from meningitis to cancer. “Why not?” If other liquids such as chlorhexidine and even green tea have been demonstrated to reduce gingivitis by attacking bad bacteria in the mouth, why can’t other liquids do the same? However, when oil-pulling was put to the test, little evidence emerged to suggest that it actually did much at all. 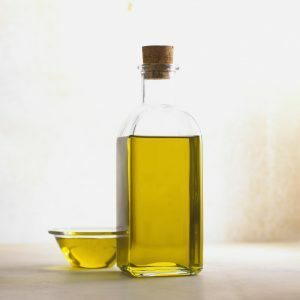 Evidence supporting oil-pulling is sparse, and the studies that do claim oil-pulling to have great benefit have either used a small sample size of participants or didn’t use a control group to compare the difference between those who did oil-pulling and those who didn’t. The scientifically-backed and peer-reviewed studies done could not show any demonstrable benefits of oil-pulling. One new study out did show that oil-pulling for 10 minutes for six weeks had similar effects to using chlorhexidine mouth wash, but this evidence isn’t sufficient to make a scientific conclusion amidst the overwhelming evidence to the contrary—especially on the larger claims of curing disease. To date, there is no evidence that oil-pulling can prevent cavities, detoxify the body, strengthen teeth, treat cancer or reduce headaches, despite such claims made online. Without discounting it all together, I suggest embracing evidence-based dental hygiene. Until we have such evidence for oil-pulling, it is still recommended to stick with traditional methods of dental hygiene, including brushing, flossing, eating a healthy diet, and visiting your dentist for your regular check-ups.